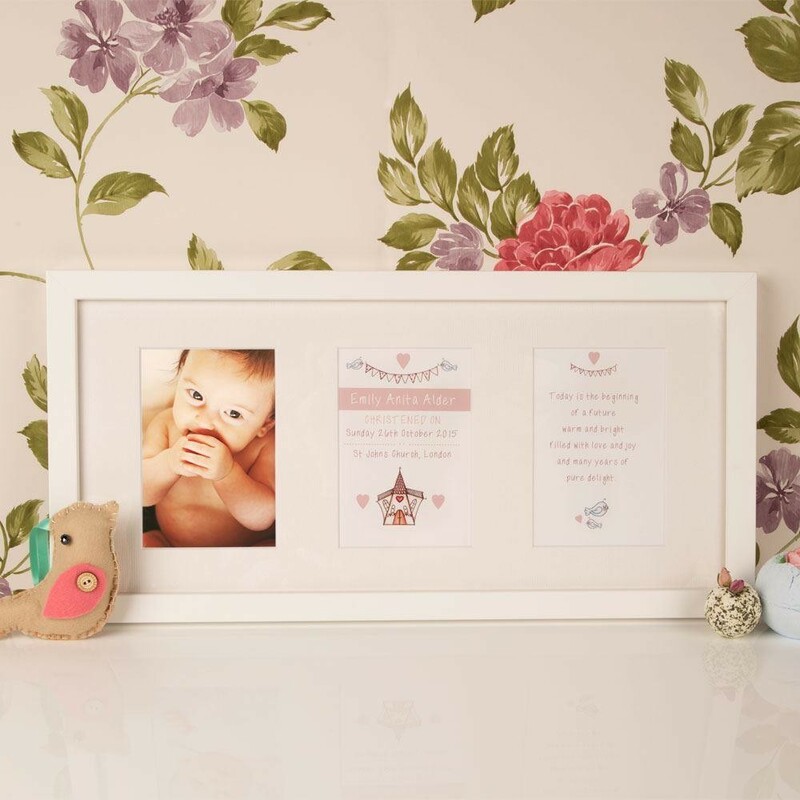 This 3 aperture frame complete with a baby photograph (4 x 6" photo) is the perfect keepsake gift to celebrate a baby's Christening or baptism day. The second window has a church and bird design which was originally hand illustrated by our in house artist. This print is made even more special with the addition of the special baby's details including their full name, date and church. The final window has a quote which says 'Today is the beginning of a future warm and bright filled with love and joy and many years of pure delight'. Each design is printed on high quality paper using our wide format 12 ink printer. The mounts and frames are custom made especially for the Christening or baptism frame so fit together perfectly. 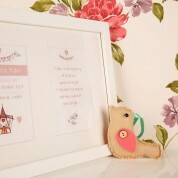 Our bespoke white frame will tie in with any décor and will fit in on the baby's nursery wall or in the living room. The wall fixings and gift tag are included. There is another Christening or baptism design available in the Christening gifts category. Dimensions of frame: 53 x 26.5 x 23mm depth. This frame holds a 4 x 6" photo inside. Weight of frame: approx 760 grams.